Stephen joined City in July 2012 having previously undertaken senior interim financial roles at the universities of Lincoln, Bournemouth, Cumbria and Salford. Stephen has a BA from the University of Stirling, an MBA from Heriot-Watt University and is a Fellow of the Institute of Chartered Accountants in England and Wales. He is also an elected member of the CBI London Regional Council and represents the British Universities Finance Directors Group on the Student Loan Company Stakeholder Forum. I wish to congratulate Stephen Avery on his appointment as Chief Financial Officer (CFO) at Royal Holloway, University of London. It will be extremely sad to see Stephen leave after his great success at City. Stephen joined as interim CFO in July 2012 and was then appointed to the substantive role. 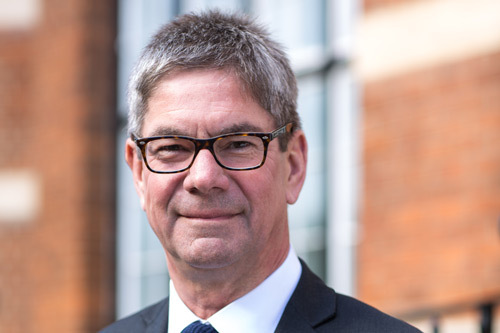 Stephen has made an enormous contribution to the strategic direction of the University and notably led on the return of the University’s finances to a surplus position. We wish him well in his new role.